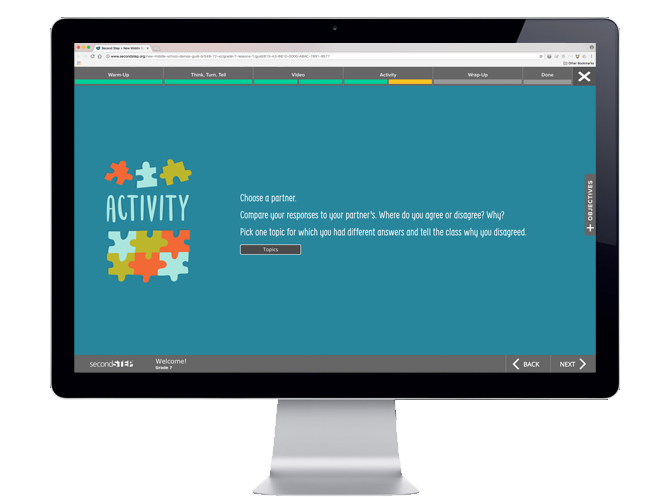 Second Step lessons are social-emotional, multi-grade learning tool for Middle School Teachers and Counselors to use in the classroom. The topics vary from online bullying to how friendships change as we get older, to making and meeting goals. 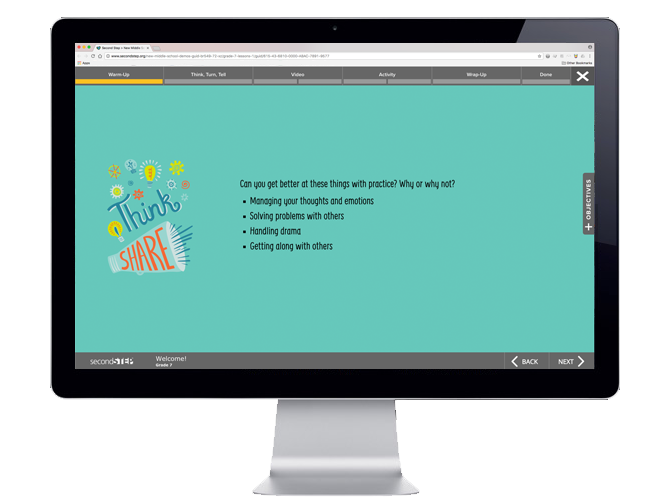 Each lesson takes 25 minutes and can be projected from a newly created web-based portal. The portal also provides professional learning, advisory activities and additional resources to the teachers themselves. 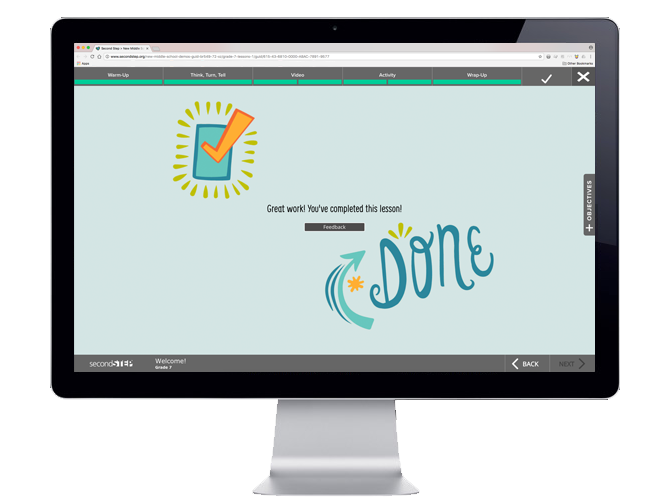 I assisted in bringing what used to be a physical lesson plan, to building an online, easy to access, interactive, thoughtfully designed, lesson plan within a thoughtfully designed web portal. 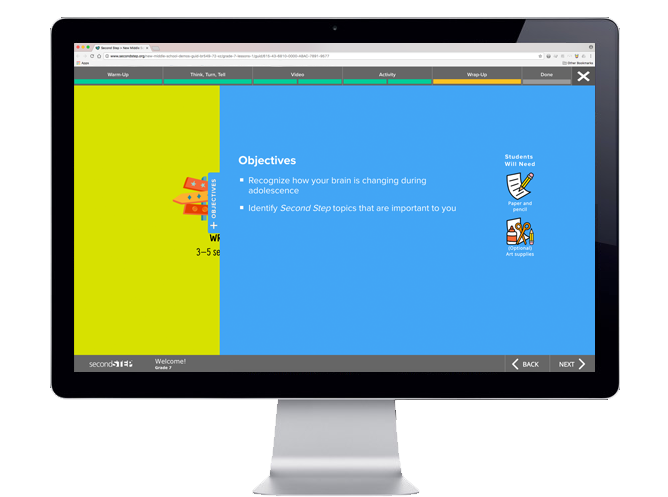 The above shows the helpful 'Objectives Tab', which provides teachers with a list of objectives taught in the lesson as well as materials and tools needed to complete the lesson.